Hi, Jonathan Jay here from the Dealmaker’s Academy and welcome to this video, this Top Tips video on buying and selling businesses. Sometimes when you’re meeting with a seller, it depends on the rapport that you’ve got, but sometimes things can get a little bit tense especially if they bring someone else into the meeting. And that person doesn’t have the rapport with you, and maybe they don’t like you very much. They don’t want to do the deal as enthusiastically as the seller does. Maybe it’s the FD or the office manager or someone who thinks that maybe they will lose out as a result of the business being sold. And it can get all a little bit tense. And no one knows quit what to do. And it becomes a bit awkward and a bit embarrassing. This is my Top Tip. My Top Tip is let’s take a five minute break. Go and walk around the block. And when you say let’s have a five minute break, it releases all the tension in the room. And when you release all the tension in the room, everyone comes back together. And they’ve had an opportunity to talk. And maybe the thing that you were getting stuck on, they’ve agreed between them. Because remember, they always know that you’ve got another deal happening. Jonathan might walk away. So the five minute break is the tension releaser. Hi, this is Jonathan Jay. Welcome to the Dealmaker’s Academy. 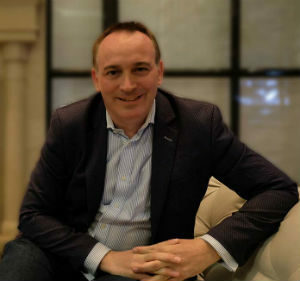 Welcome to these videos, where I’m sharing with you some top tips, things that you will not read in books on mergers and acquisitions because these are things that I learned from experience, from being in the trenches, from actually being there at the conference, doing this stuff day in day out. Here’s a great tip for you today. Let’s say you’re with a seller who is, has a business that you have an interest in. But they are slightly suspicious of you. They’re slightly, they’re not entirely sure whether they’re going to get a great deal with you. Are you going to waste their time? And you can feel that they are a little bit cautious of you. Well, why don’t you get a reference? And say look, why don’t you speak to Mr. Smith? I bought Mr. Smith’s business last year and Mr. Smith will tell you how we did the deal. Mr. Smith, I’ll ask him to be very open with you. And he’ll tell you what it was like working with me. And he’ll tell you that I was fair. And that’s a really important word, fair. He will tell you that I was fair. And if you have done a great deal with Mr. Smith and Mr. Smith thought you were fair, Mr. Smith is your reference, then you give Mr. Smith’s phone number. They’ll phone Mr. Smith and Mr. Smith will say yeah, I did a deal with Jonathan and you know well, he was very fair. And that’s the word that he’ll use, that’s the word that you use, and as a result they now then relax because they realise they’re not going to be taken advantage of. You’re not going to mess them around, you’re not going to waste their time. And that’s really, really important to people. So, use previous deals that you’ve done as a reference. All you need to do is do one deal. From that moment onwards, that great deal can be a reference point for the next seller that you speak to. How do you know if a seller is serious? With top tips on buying and on selling businesses. Now here’s a great tip. When you’re talking to a seller about money, about valuation, about what they think the business is worth, here is the question that you ask, and you ask this question word for word like I’m going to say it to you now. The question is, help me understand how you reached that valuation? Help me understand how you reached that valuation. Then you just shut up and you listen and you take notes, and when people have to explain a valuation, the number that they thought of, because that was their retirement figure, or the number that just popped into their head, or a nice round number where they thought that was going to be a fantastic payday, if they sold the company for that amount, when they have to analyse it, see you don’t analyse it. When they have to analyse it and break it down, they really struggle, and that’s when you’re writing down, say okay so we realise that you’re saying that the assets is worth this and the goodwill is this, and you’re saying the website’s worth this, this machinery’s worth this, and this office is worth this, whatever it might be, help me understand how you reached that valuation. For more tips like this, hit the subscribe button, And I’ll see you on the next video. Today I want to talk about why brokers can mess up a deal for you. Actually there are several reasons why a broker can mess up a deal for you. And sometimes and most times actually the broker is being paid some sort of fee. It could be tens of thousands of pounds in advance. So in actual fact their motivation for putting a deal over the line is probably pretty low. Now they’ll never admit it and they would always deny it but it’s a fact. Call me cynical but I believe it to be absolutely true. Now they will say that their real money is made on the percentage of the success fee that comes as a percentage of the sales value. Well in actual fact they can’t count on that. What they can count on is the upfront fee that is being paid by the person listing their business. Now the reason a broker can mess up a deal is because to get that upfront listing fee they have possibly been so positive about the potential sale value of the business they’ve elevated that value in the mind of the seller to the point that the seller now has very unrealistic expectations as to what the price or the value of the business is. So when you come along with more realistic expectations the two of you don’t meet very well. So in actual fact, the broker could do the seller a disservice. We’ll be coming back to this point in future videos. If you haven’t subscribed yet, hit the subscribe button and I’ll see on the next video. 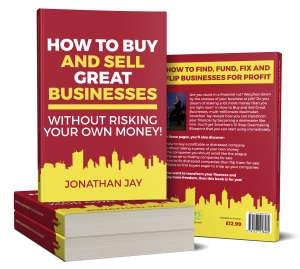 Hi, this is Jonathan Jay from The Dealmaker’s Academy with another top tip on buying and selling businesses, and today I want to tell you about a really powerful strategy for finding the right type of deals. And this strategy is one that I call seller letters. Now, in the good old days of direct mail, this was something that you would think of automatically. These days, people don’t think about it, but actually putting a letter in an envelope and sending it to someone who owns a business in the sector that you’re targeting is a very powerful way of getting your message that you’re interested in acquiring through to the right person. See, emails typically go through to a reception or they go through to the wrong person or they just go into a general big pool of emails, and of course they’re not confidential. But if you write a letter to the owner of a business and you mark it for the attention of the directors only or private and confidential, even better, use the directors’ names if you know what they are, then now you can access right through to them, and they typically, if you mark it private and confidential, they’re the only people to open it. And I have got a great letter that I’ve used with lots of success, because it’s very personal, it’s very natural, and I’m asking them if they are interested in having a conversation with me about either investment in their business or me acquiring their business. I say I don’t know what their situation is, I don’t know whether they’re interested or not, but I give them my phone number, I give them my email, and invite them to contact me. So seller letters are a very, very powerful way of getting straight through to the owner of a business. For more tips like this, click the subscribe button. You’ll get a notification when the next video becomes available.